A team of professional designers from SocialEngineMarket company provides high-quality responsive web design services to enhance your online presence and brand perception. Extensive usage of mobile devices makes such a design indispensable for website owners, and our impressive experience makes it possible to develop effective adaptive apps within a reasonable time frame and at affordable cost. Excellent user experience is a number one priority of every company. 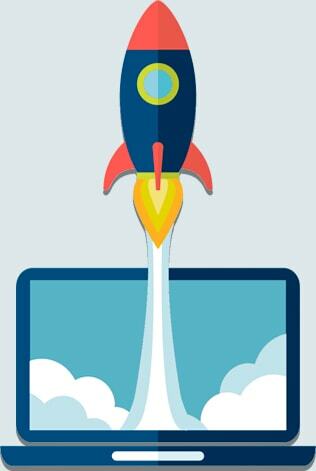 To attract more customers and to not to loose the existing ones your site should be fast loading, easy to read and navigate. Professional responsive web development helps your business with all these aspects. And the most important is that no matter where your customers are at a moment, they can access your site whether they use their phones or desktops. Our team has years of experience creating beautiful modern website design from scratch for various industries. Among our projects there are sites for online stores, social networks, corporate sites and much more. Regardless the service you are looking for, we ensure the delivery of full-functioning dynamic web pages with flawless navigation and adaptivity to any screen-size. Collaboration is a base of our effective workflaw. We keep in touch with you during the entire period of development process, which allows us not to miss any aspect of the project and timely deliver each task we take on. Successfully combining in-depth understanding of your idea and our professional knowledge we create high-performing applications and websites tailored to your requirements. Any site or portal needs refreshment sometimes. Updating content and multimedia is good, but trends change along with tastes of users and an outdated navigation or layout can lead to loss of traffic. Avail of our UI/UX elements development service to keep your audience engaged, offer them pleasant experience on your site with the help of modern and handy buttons, checkboxes, icons, various navigational components and other important elements we create. The value and potential of mobile web design are incontestable, and if you are already running an alternate fixed width layout site it is never too late to migrate it to responsive design. Leave this to the professionals, our responsive web design agency provides a top quality service of conversion of a static HTML site to responsive. We can not only migrate or elaborate the existing design of your site to responsive, but also create a powerful and attractive responsive web design with HTML5 and CSS3 from scratch for you. Be ahead of everyone and build your brand on a stable foundation of recent technologies and trends. Our devoted expert designers and developers will immerse you in the atmosphere of art and lead you through the maze of web development to your business success. With a growing popularity of mobile web, business owners who drag out with responsive design coding for their e-business miss a lot of opportunities it offers. Here are just some of them you might be interested to find out. Such a design is recommended by Google. These sites use single URLs, whereas mobile versions use separate URLs, which influences the site performance in the search engine. 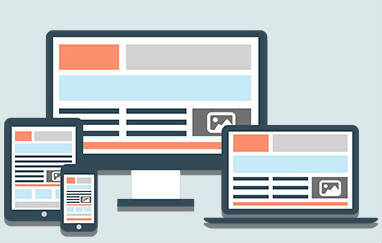 Providing better user experience responsive sites assume higher Google ranking. Adaptiveness to different screen-sizes and devices is the major advantage. Today more and more Internet users surf for entertainment, shopping or business with the help of their smartphones, but there are other modern devices that are still developing, such as smart watches and so on. That's a weighty prospect, which we cannot but welcome. Not long ago a lot of companies used to manage their main site and its mobile version, this required twice as many updates and work. The task has been facilitated by adapting just one resource to different devices, this also made it easier to manage the site and its content. Customers are super important for any business and offering them a smooth experience of using a responsive corporate website, social network or store is a huge advantage. This kind of layout allows to get rid of such annoying actions as zooming of page or endless scrolling and display only the most important info in a convenient modern way. Deep analysis of customers' needs, goals and requirements, friendly and prompt support and professional approach make SocialEngineMarket a reputable website development company with more than 6 years of relevant experience. Developing responsive website design we use the latest HTML5, CSS and JS frameworks, which ensures high-end results of all the projects we undertake. The expertise of every member of our team allow us to build smart and fluid web sites and apps that automatically resize their layout, which makes them fit a screen of any device without hurting the content and functionality. Explore the advantages of responsive web design with us and reach new audiences every day.